You must be internet surfer like me, who uses internet at least 6 hours a day. Most of us rely on browsers to use the internet. Chrome and Firefox are most widespread browser used my millions of people out there. These browsers tends to slow down and become sluggish if there are too many extensions or add on installed. Many other software install on the PC, installs toolbar with them. If you keep installing too many toolbar then browser will definitely slow download and crashes. We are here with a simple tutorial to guide your through the procedure of uninstalling non required toolbar on Browsers. One of the common and most practiced way and known to all is uninstalling it from the Control Panel. If you are a Windows user, you just need to navigate to the Control Panel and uninstall the desired toolbar from there. The only disadvantage being, one has to manually select the desired software or application you want to remove and some times these get hidden under names that will are not dangerous first but then proves as a loop hole for the malicious attacks on your device. For instance, if one wants to install the free version of VLC media player and takes no care during the installation process. VLC will add a toolbar of its own in my computer. When the person realizes that the toolbar is not, the only to remove it is by going to “Control Panel > Programs > Uninstall” and then will select the desired application. 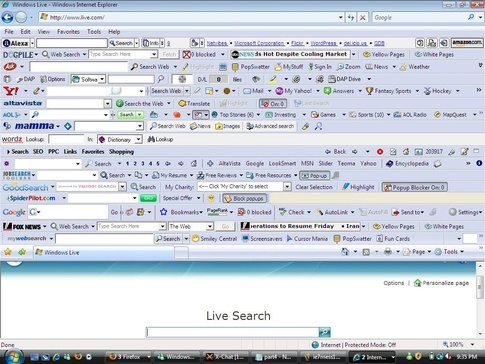 But there are toolbars that somehow get over our careful unchecking process. Also, these toolbar sometimes come with other free software that we do not want. If you are facing this problem then, there is a dedicated toolbar remover software is much more useful than any other default method. One more advantage of these toolbar remover tools is that they completely wipe the unwanted program from your computer. There are some dedicated cleaners for certain browsers which gives an assurance of 100% cleanness from them. 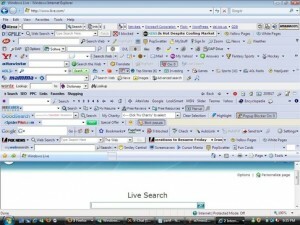 If you don’t delete these toolbars then they will make your browser crash. But, before taking such measures lets see if there something more easy and if it could resolve the matter. Follow the instructions below to see different ways possible. Step 1: On top of the Firefox window, click on “Firefox button” and then select “Add-ons”. Step 2: Next, select the “Extensions panel”. Step 3: Now, select the toolbar you want to remove. Step 4: Next, click on “Remove”. Step 5: You will have to click on “Restart now” if it pops-up. Step 1: First of all, click on “Tools” and then click on “Manage add-ons”. Step 2: Next, highlight toolbars and extensions below “Add-on Types”. Step 3: Now, under “Show” drop-down and ensure that all add-ons are selected. Step 4: Next, pick the toolbar you want to remove and then choose disable. Step 5: Just ignore the warning window if you see any. Step 1: First of all, click on the Chrome Menu in the browser toolbar. Step 2: Now, click on “Tools”. Step 3: Next, select the extensions. Step 4: Now, click on the trash icon beside the extension you want to remove. Step 5: Finally, click on “Remove” on the confirmation message. Share with us if you have any kind of queries, we here for resolving the same.